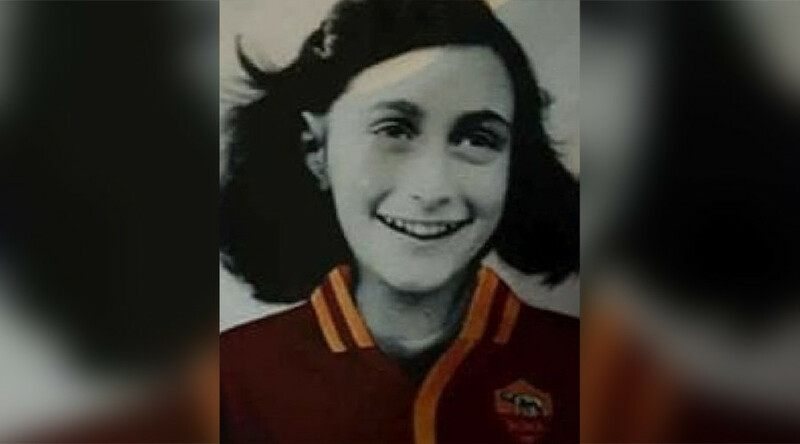 Fans of Italian football club Lazio have caused outrage by depicting Anne Frank, the Jewish diarist and Holocaust victim, wearing a jersey of arch rivals Roma alongside anti-Semitic slogans. Rome police have launched an investigation into reports that Lazio fans left the stickers in Stadio Olympico, the stadium shared by the two clubs in the Italian capital, during their 3-0 Serie-A win over Cagliari on Sunday. Lazio’s ultras were housed in the stadium’s southern curva (end), where Roma fans are usually based, because their own area was closed due to racist chanting. A day after the game, cleaners found the stickers on the glass panels of the curva and later removed them. Rome’s Jewish community has reacted with outrage to the incident. "This is not a curva, this is not football, this is not sport. Get anti-Semitism out of stadiums," Ruth Dureghello, president of the Jewish Community of Rome, wrote on Twitter. 23 October 1943 | A group of 839 Jews deported from Rome (out of 1,035 people) were murdered in a gas chamber of the German Auschwitz camp. Italian Sports Minister Luca Lotti warned that those responsible would be punished, as the Italian Football Federation (FIGC) is expected to open an investigation into the behavior. “There are no justifications. These incidents must be met with disapproval, without any ifs, ands or buts,” Lotti said. Anne Frank was born in Germany in 1929 and gained fame posthumously for the diary she kept while in hiding from the Nazis during World War II. On Tuesday, it was announced that a passage from the diary would be read before every Italian football match in response to the stickers. ROME (AP) - Passage of Anne Frank's diary to be read at all soccer matches in Italy this week in reaction to anti-Semitism. Stickers depicting her image in a Roma jersey previously emerged in December 2013, when they were found posted around the city centre of Rome. In March, Lazio were forced to plead with their fans to stop making monkey chants towards former player Antonio Rudiger during their derby match. In a twist of irony, Roma fans were charged by UEFA for making monkey chants at Rudiger during Wednesday’s Champions League game at Chelsea, the club to which the defender moved this summer.